Winship Executive Director Walter J. Curran, Jr., MD, provided opening remarks at the clinical trials luncheon and discussion. Luncheon attendees were busy discussing ways to increase clinical trials patient enrollment. 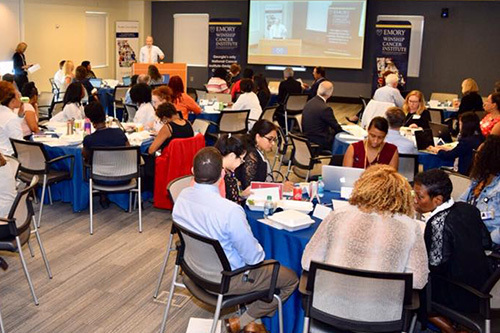 Winship physicians, advance practitioners and clinical staff held a clinical trials luncheon and discussion simultaneously with our Clifton campus event at Emory University Hospital Midtown. 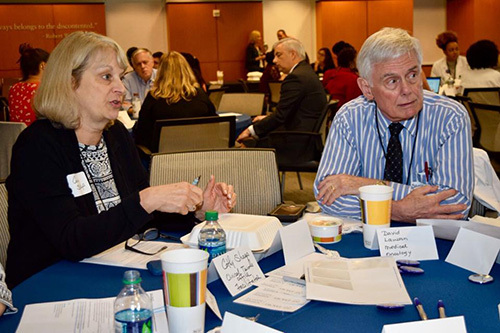 Catherine Sharp RN, MN, OCN, CCRP, and David Lawson, MD, discuss clinical trials initiatives at Winship Cancer Institute. 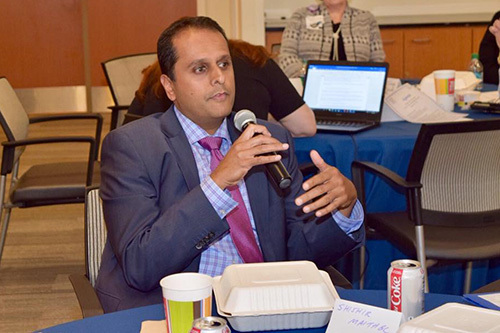 Winship surgical oncologist Shishir Maithel, MD talks about the financial barriers for potential patients in accessing clinical trials. 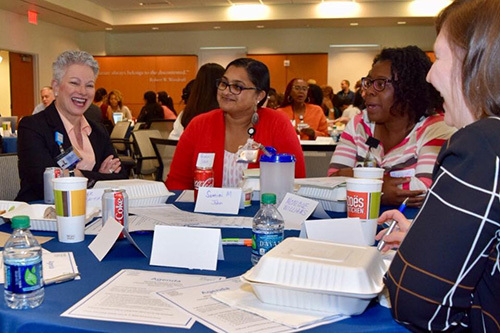 Winship Cancer Institute of Emory University hosted a two-hour roundtable discussion today (on Friday, September, 21) devoted to an in-depth examination of cancer clinical trials and patient enrollment. The meeting coincided with the Biden Cancer Community Summit in Washington, DC, and hundreds of other similar events around the world. An estimated 50,000 Georgians will be diagnosed with cancer this year. About a third of them will receive some component of their treatment at one of Winship's clinical locations in metropolitan Atlanta. As the National Cancer Institute-designated Comprehensive Cancer Center for the state of Georgia, Winship is at the forefront of cancer research and discovery. 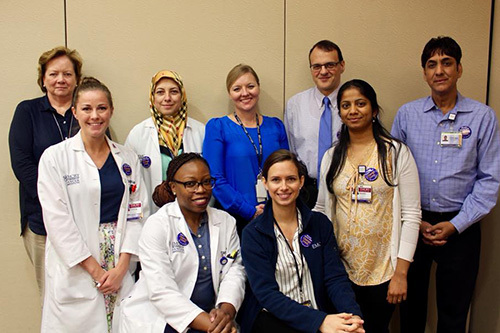 The Winship clinical trials meeting, attended by close to 100 faculty members, staff, and patient advocates, was moderated by Bassel El-Rayes, MD, Winship's associate director for clinical research. He says "Winship patients have access to over 250 clinical trials in almost every type of cancer. We are looking closely at how to help more patients gain access to life-changing trials that are making a difference now and for generations of cancer patients to come." In a letter to cancer summit participants, former Vice President Joe Biden, who led the national Cancer Moonshot Summit in 2016, wrote: "With your innovation, ideas, and inspiration, we will launch new actions and collaborations in cities, the nation, and even across the globe that will improve the patient experience and patient outcomes."